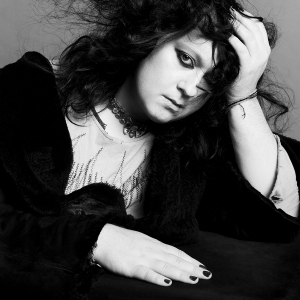 Anohni (born 24 Octоber 1971), formerly referred to as Antony Hegarty or Antony, is an English singer, composer, and visual artist, who is best known as the lead singer of the band Antony and the Johnsons. Anohni was born in the city of Chichester, England, in 1971. Anohni's family moved to the San Francisco Bay Area in the United States in 1981. In 1990, she moved to Manhattan, New York to study at New York University, where she founded a performance art collective (Blacklips) with Johanna Constantine. Entering a musical career, she began performing with an ensemble of NYC musicians as Antony and the Johnsons. Their first album, Antony and the Johnsons, was released in 2000 on David Tibet's label Durtro. Their second album, I Am a Bird Now (2005), was a commercial and critical success, earning Anohni the Mercury Music Prize. In 2016, Anohni became the second openly transgender person nominated for an Academy Award; She was nominated for the Academy Award for Best Original Song, along with J. Ralph, for the song "Manta Ray" in the film Racing Extinction.